Fairy Tales, Literature & Myth Titles from KIDS FIRST! KIDS FIRST!® Kid Jurors say - The Miracle Season is a sports film based on a real life incident from 2011 when the captain of West High Schools volleyball team tragically died in a car accident. I found this film interesting because it remembers a teen, not an adult. The storyline follows Kelly, who recently lost her best friend Caroline in a car accident. Now she has to lead the team. They have to fight through their loss and still play the game. They lose their first two games, but win the next fifteen games and are driven to win the state championship game in Caroline's memory. Kelly is portrayed by Erin Moriarty who has appeared in the films Captain Fantastic and The Kings of Summer. Her coach Kathy Bresnahan is played by Helen Hunt, an Oscar-award nominee and winner, who has starred in the films Cast Away with and As Good As It Gets. These veteran actors bring the movie up as a whole. An interesting thing about this film is that, even though it is a low budget film, it looks like a higher budget film. Also, it's based on a true story and is true to the original story including having videos of the actual games in the credits. Last, I found it interesting that the cast is mostly female, when sports movies usually feature all male teams. I give this film 3.5 out of 5 stars and recommend it for ages 10 to 18. It opens April 6, 2018 so look for it. NEW LINE HOME ENTERTAINMENT This title has online video! Description - The ancient war between humans and a race of giants is reignited when Jack, a young farmhand fighting for a kingdom and the love of a princess, opens a gateway between the two worlds. KIDS FIRST!® Adult Jurors say - Rated PG-13 by the MPAA for intense scenes of fantasy action violence, some frightening images and brief language. KIDS FIRST!® Kid Jurors say - "Jack The Giant Slayer" tells the familiar story of Jack and the Beanstalk with an entertaining twist. Jack (Nicholas Hoult) is a farm boy who grew up hearing stories of a time long ago when giants and men were at war in the kingdom. You know that he goes to the market, comes back with magic beans, spills them and a giant beanstalk grows all the way up to a magic land, but here's the twist. The Princess Isabelle (Eleanor Tomlinson) is captured by the giants and Jack, along with the kingdoms guardians, has to rescue her. But, they are betrayed by Roderick, the Princess' elderly fianc�e and the whole kingdom has to fight against the giants to save the land. I really enjoyed this movie. I absolutely love the more modern twist on this age-old tale. One thing that I really enjoyed about the story line is when, at the end of the film, it shows the story being passed down from generation to generation and shows how the story gets "misinterpreted" into being the fairy tale we've all heard. The CGI animation is very good. It isn't one of those movies that blows me away with special effects and cinematography, but it is definitely well-made. My favorite character is Jack because I really enjoy Nicholas Hoult in this film. He is the British actor who recently starred in "Warm Bodies" and has played supporting roles in many other films such as "X-Men: First Class" and "Clash of the Titans." He has also starred in the British TV series "Skins" which I am absolutely obsessed with. I love his acting skills when it comes to conveying emotion in a very simple way. Not only do I love Nicholas Hoult, but I really enjoy the fact that Jack is just a farm boy and he is given the chance to prove himself as more than a commoner. He never gives up and he shows that he is clever and there is more to him than meets the eye. One thing I want to mention is that the ending is very intense. It's not necessarily scary, but it's very suspenseful and I found myself sitting at the edge of my seat for the last 30 - 45 minutes. The film seems like its ending and I thought that there would be a second film to finish off the story, but then it continues to show the giants attacking the kingdom. This has its pros and cons. The good thing about putting the rescue of the Princess and the invasion of the city all into one film is that I honestly don't think there is enough material to make a second film. The bad thing about this is I feel like the last half hour is very rushed and hectic. Everything happens really fast and I feel like something should have been embellished. Then again, it is an hour and 54 minutes so adding anything else would make the film to long. I give this film 5 out of 5 stars because it is very entertaining and is a wonderful adaptation of the fairytale that has been passed down for generations. I think it's suitable for ages 10 and up because there is no foul language or sexual scenes but there is action, suspense and violence. I think everyone will enjoy this movie because it has action, adventure, comedy, romance, fantasy, drama and it's a classic story! So go check out "Jack the Giant Slayer" in theaters March 1, 2013. Raven Devanney, age 15, KIDS FIRST! Film Critic. This movie is the best movie I have ever seen! For me that's saying a lot because I get to see a lot of movies. This movie has so much adventure and the 3D is really cool because it made everything pop out. This movie is awesome. This movie is all about a guy named Jack who likes the princess but he is only a commodore. By accident the princess gets pushed up in the air by a bean stalk. Jack goes to bring her back and he has to fight a lot of giants along the way. This is when the movie has the most adventure and action. Jack decides that fighting giants is worth it to save the princess. The main characters in this movie are Jack, Isabella, Rodrick and the giants. My favorite character is Jack because he is risking his life to save the princess, Isabella, and does it. He goes through a really awesome journey that all people would like to do. He is such a good guy and is really smart when he needs to be. My favorite part in this movie is when Jack kills his first giant. He gets the princess out of the cage and saves another soldier. He kills a giant but the kings best men could not. He saves the princess by sticking a knife in the giants back and the giant starts walking around until his back hit the wall and the knife went all the way through him. It was really cool. I would recommend this movie for ages 10 and up. It is rated PG-13 because there is a lot of violence and suspense that could scare a younger audience. Kids ten and older will love this movie because it has everything you could want; action and suspense. Anthony Aranda, age 10, KIDS FIRST! Film Critic. RELATIVITY MEDIA This title has online video! Description - A young woman with a mysterious past lands in Southport, North Carolina, where her bond with a widower forces her to confront the dark secret that haunts her. Starring Julianne Hough, Josh Duhamel, Cobie Smulders. Directed by Lasse Hallstrom. WALT DISNEY STUDIOS HOME ENTERTAINMENT This title has online video! Description - Take out the trash, eat your broccoli - who needs moms anyway? Nine-year-old Milo (Seth Green) finds out how much he needs his mom (Joan Cusack) when she's nabbed by Martians who plan to steal her mom-ness for their own young. In a race against time and oxygen, his quest to save her knows no bounds. And, with some unexpected help, Milo just might find his way back to her - in more ways than one. KIDS FIRST!® Adult Jurors say - As a mom I can relate to the mom in this story. A good story, very entertaining. I like how Ki, a character on Mars, referred to love as "that crazy love thing." 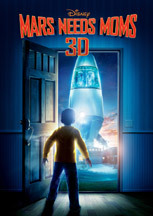 There are lots of fun questions you can ask a kid about this movie; "What would you do if Mars took your mom or dad? ", "What makes a good mom or dad?" Shows a love between mom's and their children and between friends. Action-packed, entertaining and shows many emotions such as love, kindness and friendship. Milo learns you should be careful what you wish for, when he wishes he never had a mom and then she was kidnapped and taken by spaceship to Mars. A fun and emotional adventure as we watch Milo save his mom. HDNET MOVIES LLC This title has online video! Description - A shy, lonely twelve-year-old boy's life changes when he stumbles upon a superpowered "cyborsuit" in a junkyard. 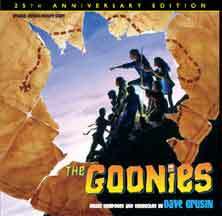 Description - A group of kids embark on a wild adventure after finding a pirate treasure map. KIDS FIRST!® Adult Jurors say - This classic Spielberg film (1985) often comes up on people's 10 fave lists. It is filled with action, treasure maps, a buried pirate treasure and told with sense of style that keeps you glued to the screen. It is now somewhat dated with its special effects but still has the ingredients that kids love - solving a mystery and outwitting the adults. It does contain some stereotyping and has some mild profanity and scary scenes. Description - After her mother's death, a young girl finds happiness with her estranged father when they embark on a migration adventure with their newly adopted flock of baby geese. Inspired by true events. KIDS FIRST!® Adult Jurors say - Charming, wholesome movie with powerful acting by likable characters. Without being overly sentimental, shows how parent and child can reconcile differences. Offers inspiring insights into flight, migration, death and self-strength. Beautiful cinematography, heartfelt theme. The scene where the Mom dies in a car accident is emotionally upsetting and there is one mild profanity. Description - A film adaptation of the popular Disneyland ride in the style of a mockumentary. Description - Willy (Matthew Knight) is terrified about moving into the family's new house. He's convinced it's filled with evil space aliens out to get him. In response to his longing for someone to save him , Gooby (Robbie Coltrane, Harry Potter) comes to life as a big, loveable, scruffy creature who quite possibly may be more frightened of the world than Willy. The two new pals embark on hair-raising adventures and learn about courage and the power of friendship. 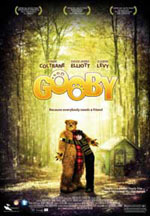 In the end, Gooby fulfills Willy's wish by bringing Willy and his Dad (David James Elliott) together in a heart-warming and exciting climax. Starring Eugene Levy from American Pie. KIDS FIRST!® Adult Jurors say - Willy has serious issues about moving - something any kid who has ever moved can relate to - new house, new neighborhood, new school, new friends, not able to spend more time with his parents - particularly his father. It's a good story that points out to kids that they are not the only ones with these same issues. Then, there is the issue of the space aliens that he sees inside the house - enough to make even a brave boy want to leave. Fortunately, a stuffed bear with a Scottish accent comes to life and helps Willy make friends and inspires his parents to spend more time with their son. The boy and his "fuzzy orange monster" have funny adventures together for example the bear goes to the store to buy marshmallow cookies and he and the boy avoid being seen by a crazy teacher in a music montage. While the movie is mostly funny, it also deals with issues such as being a new kid in a new school, and not being able to make friends. The structure and continuity of scenes is professional, scenes in which a bad monster comes for Willy the boy are edited well but not too scary. The visual production is high quality but the audio production has some problems. The parents ignore their son for most of the movie until the father has to save his son from falling in an abandoned building. This parents realize they have been selfish and begin to spend more time with their son. There are also small lessons such as Willy learns that he needs to teach his bear to recognize what constitutes stealing and that it is bad to steal. Excellent sound track. KIDS FIRST!® Kid Jurors say - Mixed reactions. Some really liked it. "It was scary at points, funny at others, and very entertaining. One 12-year-old thought it was too babyish. "The story was about a boy who had to move to a new house. He was scared of the hoolies. He was sad about not spending time with his parents, especially his Dad. His old teddy bear, Gooby came alive and helped him make friends. He was a good friend and helped him get his Dad back. Sometimes, the background music was too loud and you couldn't hear the characters talking." "It made me think about how when things change, I don't have to be scared." Favorite part: When Gooby and Willy were in the grocery store trying not to be seen and when Willy and his father build a tree house. "Gooby did things that caused trouble for Willy." "I didn't like the beat costume of Gooby. It was scary." Description - Set in 1978, Gracie is a teenage girl who overcomes the loss of her brother and fights the odds to achieve her dream of playing competitive soccer at a time when girl's soccer did not exist. KIDS FIRST!® Adult Jurors say - Excellent production. Based on a family's real life story with upbeat music and positive role model for young girls. It shows how really hard work and persistence pays off. Believable acting, realistic scenes and story. It shows how each family member acts out his or her depression after the death of Gracie's brother. Gracie's lack of interest in school and her digression from being the "good kid" she was are realistically depicted as is her drive to play soccer. This movie provides inspiration for anyone who has felt discriminated against. Contains some profanity although it is used judiciously. KIDS FIRST!® Kid Jurors say - Enjoyed it. "It was a good movie!." "It's really, really good. I think it's one of the best movies I've seen." 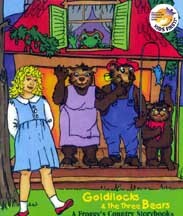 The kids could relate to it and said they thought the story was very believable. They enjoyed the fast action of the soccer games. "I watch sports movies again and I'd watch this one a second time." The whole "fight for what you believe in" concept was well received by our teen jurors. Even those who aren't into soccer enjoyed it. The kids were surprised to see how strongly girls were discriminated against in terms of involvement in sports twenty years ago.. 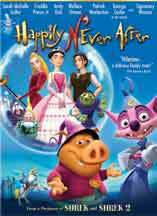 Description - An alliance of evil-doers, led by Frieda (Sigourney Weaver), looks to take over Fairy Tale Land. Cinderella - aka Ella (Sarah Michelle Gellar) - must save the day by taking on her power-hungry stepmother and will have to do it without her Prince Charming (Patrick Warburton). An unlikely army of dwarves, fairies and the wizard's bumbling assistants join forces with her as she blossoms into the leader of the resistance. Description - Willy Claflin sings and tells stories through his puppet friends, Maynard Moose, Gorf the Frog and others. Each segment is a different story with a different theme and can be viewed independently of the others. KIDS FIRST!® Adult Jurors say - Silly stuff. Well done budget production; not saccharine or didactic. Understands kid humor. Obvious irreverent style is meant to amuse. Fun props and various animal puppets. Great voice, uneven sound quality. Some parts are funnier than others. "I was left looking for a more positive message." KIDS FIRST!® Kid Jurors say - Weren't quite sure what to make of it. Laughed when prompted by the laugh track. "At first it was hard to hear the words. The sound got better after that." "It was ok." "Some of the stories were silly; some were kind of weird." "The pictures were pretty good." "What's the next story going to be about?" Description - It's an average town, but the first house on Pine Place is actually overrun by creatures who get a young boy in a lot of trouble for spills he didn't make. That young boy is about to make a whole bunch of new friends. KIDS FIRST!® Adult Jurors say - Cute and imaginative. Delightful story, colorful puppets. Well developed and lovable characters entice kids to pay attention. Rainbow-colored monsters are endearing, not scary. Odd, theater-like set works well with the boy's dramatic acting. KIDS FIRST!® Kid Jurors say - Younger kids really liked it. "It was great. There was a mystery. I love mysteries!" "Akili was the peacemaker. He looked mean, but he was really nice." "Michael's bed wasn't anywhere close to his size. The dog looked very silly. It made us laugh." Description - Vinko the Dancing Bear and DJ the Dinosaur invite kids to join them for a toe-tapping musical adventure. Features old favorites such as "The Muffin Man", "The Wheel's on the bus" "Pop goes the Weasel" as well as original songs such as "DJ's My Nname." A combination of live action with 3D animation bring this sing-along to life. Vinko the Dancing Bear and DJ the Dinosaur invite children to dance and play along. Description - The second kids' music video from Billy Jonas, this is 43 minures of non stop family fun. Ten musical segments invite viewers of all ages to sing, dance and move with the beat. As a special treat, the show features a sing-along with Grammy Award winner, Alison Kraus. Filmed in a school auditorium with hundrends of kids and around a campfire with a more intimate group of children, songs include "Tongo", "We're in the Bucket Brigade", "Bangin and Sangin", "I Spy", "What Kind of Cat Are You? ", "Watermelon", "Vitamin Alphabet", "Rockin' Robin" and "Bear to the Left". Description - Lloyd the llama is looking for his mama. 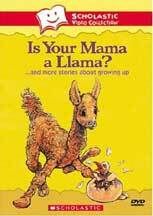 "Is your mama a llama?" he asks a bat, a swan, a cow, a seal, and a kangaroo. Young children will share Lloyd's delight when the answer to his question is finally, "Yes!" With rhyme and riddle, and the perfect narration by Amy Madigan, this charming story will soon become a favorite. Animated by Virginia Wilkos. Includes other stories about growing up based on classic children's books by Deborah Guarino, Robert Kraus, Stephanie Stuve-Bodeen and Molly Bang. Narration by Amy Madigan, Mary Beth Hurt and Laura Dern. KIDS FIRST!® Adult Jurors say - Anthology of stories using repetition and rhyme in their delivery. Good tool for language development. Good role models. Leo the Late Bloomer is not made fun of when he is slower than they are. Elisabetti helps children deal with the new baby. KIDS FIRST!® Kid Jurors say - Kids identified with these stories. "When Leo was sad, I was sad. Then he was happy and so was I." "The girl, Elisabetti made a doll out of a rock." "I liked seeing the girl and her mother. "The llama's friends told her that her Mama was a llama too." 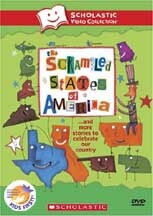 Description - Carefully adapted stories about the states, based on books and songs by Laurie Keller, Woody Guthrie and Francis Scott Key. The Star S spangled Banner is performed by Aretha Franklin, This Land is Your Lands sung by Arlo Guthrie. KIDS FIRST!® Adult Jurors say - Catchy, enjoyable music. Great for K-2 graders. Introduces concepts about the states in a musical environment that makes the learning fun. KIDS FIRST!® Kid Jurors say - Loved the music and watching the states. "It's fun. I like watching the states. I really liked the music." Kids were discussing geography afterwards. "We had to get out the globe and discuss where everyone lives, vacations, etc. 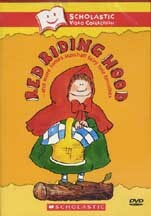 Description - Zanily adapted fairy tales (Red Riding Hood, The Three Little Pigs, Rapunzel, Chicken Little and Goldilocks and the Three Bears) by humorist James Marshall, brought to vivid life. Music by Ernest V. Troost. KIDS FIRST!® Adult Jurors say - Classic, familiar tales, in original version. More violent than contemporary stories but the violence is well handled. Granny emerges from the wolf's stomach after being eaten in Little Red Riding Hood, and comments that it's too dark to read in there. KIDS FIRST!® Kid Jurors say - Held kids' attention until the end. Each child seemed to relate to a different story best. Chicken Little was a favorite, perhaps because it was the least familiar. Three Little Pigs was also a big hit. Description - Featuring the #1 New York Times best-selling book. Showcases the author performing 13 of his most popular stories. KIDS FIRST!® Adult Jurors say - Unique stories with excellent narration and sound effects. Boisterous, entertaining and amusing. Questionable antics: some bathroom humor and kid characters don't always do what they are told. "I think it's all in fun and not something kids will imitate." KIDS FIRST!® Kid Jurors say - Really tickled them. They wanted to hear it in the car, when they got home, and again in the car with Dad - in the garage. "Great!" "It is really funny. They kids don't always mind, but it is still funny." "I want to hear more stories by the same author." Description - Two separate adventures narrated by the character Rhea about one of her favorite stuffed animals. Each story follows the tiger on his early journeys to discover what makes him special. KIDS FIRST!® Adult Jurors say - Simple production, narrated by a child. Both stories are typical with magical creatures, animals a semi-scary monster and a hero. Friendship and kindness are emphasized. No animation and little excitement. "Tape is too short (17 min.) for the price." KIDS FIRST!® Kid Jurors say - Some enjoyed it, others wandered. "Wildfire found mysterious things. She told her daddy the tiger got rocks for the king." "The monster was mean; the king was nice; they used good manners." Description - Long ago humans lived amongst elves, goblins, heroes and hobbits...roundish, peaceable homebodies. In this first installment of the classic J.R.R.Tolkien's trilogy, Bilbo the hobbit goes on a dangerous quest to recover stolen treasure. KIDS FIRST!® Adult Jurors say - Animated production makes this popular fantasy accessible to young viewers. Good-versus-evil theme creates some violence which is minimal and essential to the plot. Good diversity. Soundtrack is uneven and the animation is somewhat dated. KIDS FIRST!® Kid Jurors say - Thought it was good even if they didn't always understand the plot. "There was a lot going on and sometimes I couldn't figure out what was happening." "Bilbo was brave even though he thought he wasn't." "The riddles from the wizard were fun." Description - Country music star Pam Tillis joins MC Froggy and narrates this adaptation of the kids' classic story. Features excerpts of hit country songs performed by Froggy's Country Storybook Players. KIDS FIRST!® Adult Jurors say - Lively version of a familiar story. Creative use of language. Good narration and sound quality. "I've never been one for country music, but this tape is delightful." Picture book adds to the presentation, but timing the page turns to the music is awkward. KIDS FIRST!® Kid Jurors say - Got them bouncing. Those that liked the music, really liked it a lot. "It made me want to sing and dance." "I like to hear the little baby bear." All had trouble following the music with the storybook. Description - Follow the adventures of six-year-old Emmy and her four-year-old brother, Max, who find a dragon scale in their playroom. When they hold it and chant a poem, it transports them to Dragon Land, where they meet fantastic - but human-like - dragons. KIDS FIRST!® Adult Jurors say - Simple themes presented in quiet tones teach good lessons in small bites. Cute dragons are like loveable kids. Language is appropriate but challenging. Playing with rope and use of the word "stupid" caused concern. Provides wonderful Hispanic role model. KIDS FIRST!® Kid Jurors say - Danced, stretched and sang to the "fun music." Learned how to keep on trying...and how to have fun even if you don't win. "The kids and the dragons all help each other. They helped Max and gave him encouragement to tie the knot." 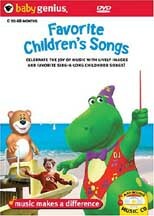 KIDS FIRST!® Adult Jurors say - Lovely, colorful, catchy music. Teaches patience and waiting your turn - universal themes that are hard for little ones to master. Shows good manners: one dragon burps and says excuse me. Never speaks down to audience. Equal treatment of boys and girls. KIDS FIRST!® Kid Jurors say - All smiles. Related to the characters and their challenges. "One kid got mad, and a bad fairy grew bigger as he got madder. But his friends helped him to get unmad and then the fairy got small." "Can we make our own stories? Description - The classic tales of Babar have been read by children for over sixty years. The stories of Babar and his jungle friends in this feature length film begin when Babar was orphaned in the wild, and culminate in Babar's becoming King. KIDS FIRST!® Adult Jurors say - Epic presentation, coming-of-age story. Fanciful animation helps balance more serious undertones. Handles death and grieving. Soft and slow pace. Has both humorous elements and sad events, and ultimately a happy ending. KIDS FIRST!® Kid Jurors say - Older kids were better able to handle the portrayal of death. "The elephant acted like a person and I liked that." "I learned about being nice." "I knew hunting wasn't good and this showed it." "Maybe the man who killed the mommy should be punished." Description - Children and stars come together to present classic bedtime stories and lullabies in an animated format. Children offer wise and witty reflections on a host of sleepytime topics, including "blankies," dreamcatchers, monsters and nightmares. 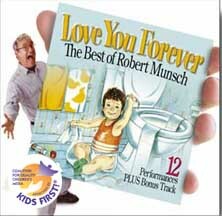 KIDS FIRST!® Adult Jurors say - Great music and super illustrations. Cute and soothing. Addresses nighttime anxieties and stimulates interest in dreams. Children get to see their peers explain their feelings. Shows many cultures and races. KIDS FIRST!® Kid Jurors say - Connected with the story, loved the music and the lyrics. "We watched it three times in a row." "Can I watch it before bed?" "I like the music." "I like the bunny." "I love the monster." "I learned about dreams." Description - Henry Higgins teaches Eliza Doolittle how to speak proper English in this classic musical production starring Audrey Hepburn and Rex Harrison. Based on Bernard Shaw's book, Pygmalion. KIDS FIRST!® Adult Jurors say - Fabulous classic masterpiece. Great music, timeless story, incredible actors. Shows how a person can accomplish anything, if he or she works at it. Promotes self-esteem and gives insight into living conditions of different classes during this time. KIDS FIRST!® Kid Jurors say - The songs and the accents held the kids' interest throughout. Girls liked the musical format better than boys. Sparked curiosity about the era and culture. "Everyone has someone in their life who challenges them." Description - A musical masterpiece about a 19th century doctor who talks with animals in an imaginative world of endless imagination, music, dance and special effects. Stars Rex Harrison as Dr. Dolittle, dubbed in Spanish. KIDS FIRST!® Adult Jurors say - This 1960s era film features Rex Harrison as the loveable and eccentric Dr. Dolittle. He plays the role straight. You can't help but love every time Dr. Dolittle says good morning to all the animals. Although the music is corny, it's still appealing to kids who can relate to Dr. Dolittle fulfilling his dream. KIDS FIRST!® Kid Jurors say - Kids thought the music was corny but still liked it. They related to Dr. Dolittle fulfilling his dream and how "Miss Fairfax wants to prove that she is more than what people prejudge her to be...I relate to that." "It made me want to study animals."